Edison Nominated for Pen World’s Readers’ Choice Award! I am proud to anounce that the Edison Pen Company has received its first nomination in Pen World’s Annual Readers’ Choice Awards. 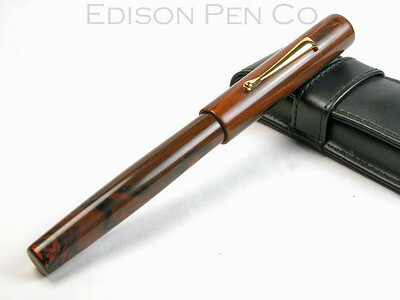 The Edison Huron is one of five pens nominated for Easy Writer – the pen with the best writing qualities. If you feel that the Huron deserves the vote, I encourage you to cast your ballot. The ballots are within the pages of the February issue of Pen World magazine, which was recently mailed to subscribers. If you do not subscribe, you can find the issue on magazine stands.